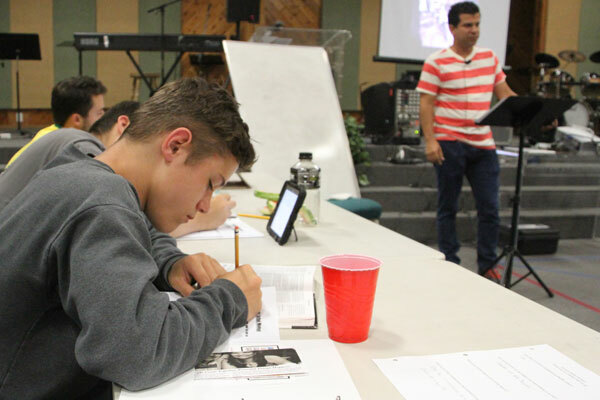 In 2013, at the end of our summer missions program, a small group of high school students had the vision to develop a ministry that would inspire missions among the youth in the Church. Hearts on Fire is a ministry for high school students who are interested in a career in missions and/or ministry. It is our desire to identify, encourage, and train a community of high school students who are committed to reaching Hispanic/Latino and other multiracial populations for Christ. Hearts on Fire students gather on a monthly basis to grow in their relationship with Jesus. Students also grow in their understanding of missions and are challenged to develop as leaders and disciples. Throughout the year, Hearts on Fire students participate in various service projects such as construction work, feeding the homeless, and working with children. For more information about Hearts on Fire, please call 520-903-9608.